How I started a business…. with someone I’ve never met ! How I started a business…. with someone I’ve never met! In less than 1 generation, the Internet has transformed our lives. From what seemed to be a convenient tool to exchange information, the Internet has become a vital tool to connect with loved ones, shop, be informed efficiently, feel entertained, and of course: work. Back in 2014, I quit my job and decided to become an entrepreneur. An online entrepreneur of course. This allowed me to get started in just a few clicks, and at a fraction of the cost of any traditional business. Beyond logistics, starting my business on the Internet had a much deeper value for me: it allowed me to connect with like-minded people from all around the world. This opened wider opportunities to make the best use of my skills, as compared to what I could have envisioned doing locally. You see, I am a French citizen living in Istanbul, Turkey. For as much as I love my host culture (especially the food, the weather and the authenticity of the people), my language skills are too limited for me to do business locally. Beyond the language barrier (that can always be worked around), my field of expertise is not developed enough here. I hold a masters in Sustainability (most Turks have no concern for climate change) and I am an expert in Social Entrepreneurship — which is too underdeveloped in Turkey to be considered a good enough niche for a consulting business like the one I intended to start. And so I thought: if I can conveniently Skype with my friends, why wouldn’t I offer my consulting services through Skype as well?! A quick Google search showed me tons of examples of “digital nomads” successfully working exclusively online, and this gave me enough reassurance to go beyond the limits of my local constraints. And it worked! In just a few months, I secured different contracts with clients in Belgium, Uganda, and Switzerland, plus a strategic partnership in Romania. My grandparents — and my family members in general — really have a hard time understanding what I do and how I do it. Even some of my friends find it fascinating that I can just work from my own home — or the desk I rent in a cool co-working space — and make a living thanks to the value I provide to like-minded Global Citizens in need of my services, from places as far away as New Zealand, or California ! And yet, this was just the beginning. In my second year as an entrepreneur, I’ve actually co-founded a new business… with someone I’ve never met in real life! Danielle Carruthers is Canadian. She started her own online business a few months before me — during a 6-month incubation program in Chile. Two countries I have never been to (yet). Six months after starting my own activity, I noticed hers and found it super inspiring. Danielle and I have the same mission: we want to empower early-stage social entrepreneurs globally to make a sustainable difference, in a financially self-sustainable way. She offers online courses and focused group programs when I specialize in individual consulting. Two complementary approaches to one very important mission: making sure as many individuals as possible succeed at making the world a better place! And yet, this is exactly what happened! 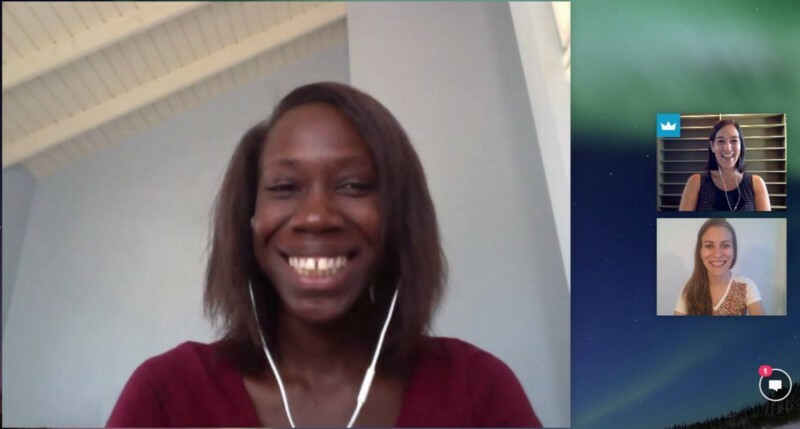 In February 2015, I sent her an innocent email offering to connect (hoping to pick her brain on her experience working in the field of social enterprise support as a solo entrepreneur). We got along so well! Still, we hang up after one hour, wishing each other “all the best”. In April 2015, I receive an email from Danielle, asking if I would be interested in co-hosting an event together. A free, 1-hour, online event that would create value for our audiences and broaden our communities. “Sure” I said! 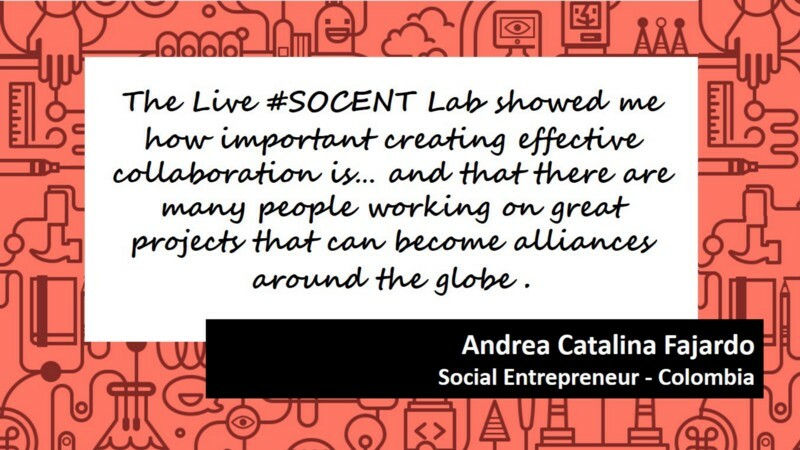 In May 2015, we hosted what we called the “Live #Socent Lab — a 1 hour Q&A for Changemakers all around the world”. The event went SO well, people on the call asked “when is the next one? Is it a monthly thing? Is there a Facebook group for us to continue connecting? 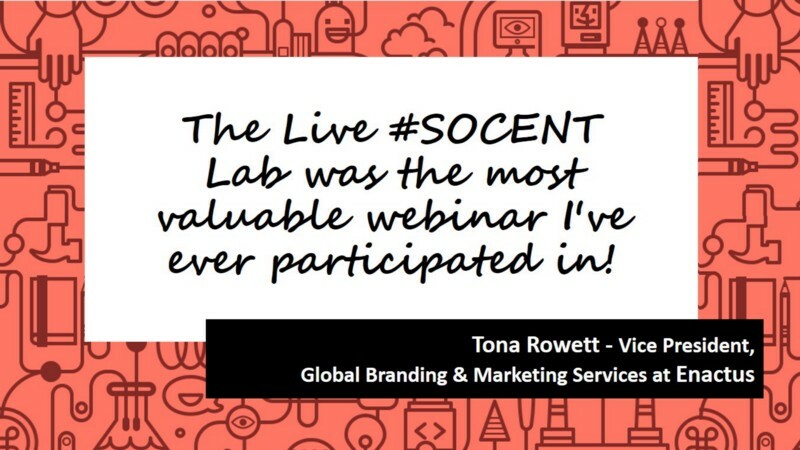 A day later, our Facebook group was born : the Global Social Entrepreneurs Lab, with the 30 most engaged people from the Q&A. Danielle and I also decided to continue hosting such events in the future — it was so much fun! By December 2015, we had hosted 3 more Q&A events, and reached above 500 members in our Facebook group ! We started to receive tons of messages with questions on collaboration. 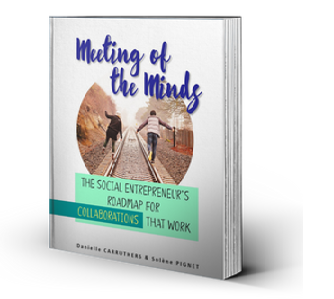 Instead of trying to give some advice here and there, Danielle and I started to work on a roadmap: a step-by-step tool that would allow social entrepreneurs to effectively use the potential of collaboration. Actually, we loved developing this tool so much it became so dense that we decided to publish a BOOK about it! This is the first time we started receiving income together. This helped take our trust to a whole new level. The proceeds from the book do not really compensate us for the time, effort and energy it actually took us, but it is still a nice recognition for the value we are providing together. And most importantly, it helped us validate the fact that: we LOVE working together! No later than April 2016, we started running a giant survey gathering insights from (hopefully soon) 1000 Changemakers all around the world, investigating what was their number 1 challenge… and at the same time validating what could be the next solution we could put together to support and empower them. We found out that there is no one area Social Entrepreneurs struggle with most. In fact, it is the multiplication of areas to master as an entrepreneur that makes things complicated (from communication to strategy to accounting and finance — or how to wear 10 different hats on a daily basis, with limited resources that don’t allow you to hire experts for each). In a matter of days, we found a business model that would allow us to make a difference regarding the issue that had been reported to us — and in a financially self-sustainable way. Kind of like www.yogaglo.com where you can get online yoga classes & community support for a fraction of the cost of a regular gym, but we offer e-learning modules + collaborative mentoring + private community support, at a fraction of the cost of hiring an expert individually. We launched our website in May 2015 — and welcomed our first 28 members in June (from 12 different countries!). People we have never met in real life, and yet with who we feel are our big family of like-minded, Global Citizen, supporting each other to make a difference in the world! 3 months later, we reached break-even (start up costs of being incorporated in Canada + web developer + design + hosting + video production tools + online payment processing fees). Yanique, Danielle & Solene defining their collaboration scope during a call linking Antigua, Canada, and Turkey! In August 2016 as I write this article, we are starting to welcome new team members and partners. Yanique Bird’s Theword has volunteered to help with the moderation of our continuously growing Facebook group (that just reached 1000 members and which is, according to Yanique, the reason why she offers to collaborate with us, saying it’s “one of the best communities for start-up and social entrepreneurs”). We are securing partnerships with global experts in Law, Social Media, Crowdfunding, Storytelling, Mental health, and more, for them to share their expertise with our dearest members of Changemakers Association. And we can’t wait to make this adventure of ours a collaborative, and truly global movement! Danielle and I continue working on our own businesses too. I love the fulfillment working with individual clients gives me, and so I would never stop Creators for Good’s activity even if Changemakers Association takes more and more importance. The two approaches — the qualitative impact of my own activity AND high scalability potential with our common venture — fit perfectly together. A year and a half after our first email exchange, Danielle and I have still never met in person. And yet, she is my closest collaborator. Together, I feel that we are just at the very beginning of making a huge difference in the world! Do you feel inspired by the idea of collaborating in alternative ways? !